I love me a quick and easy sew. A t-shirt you can whip up faster than you can do a load of laundry? I’m all over that! 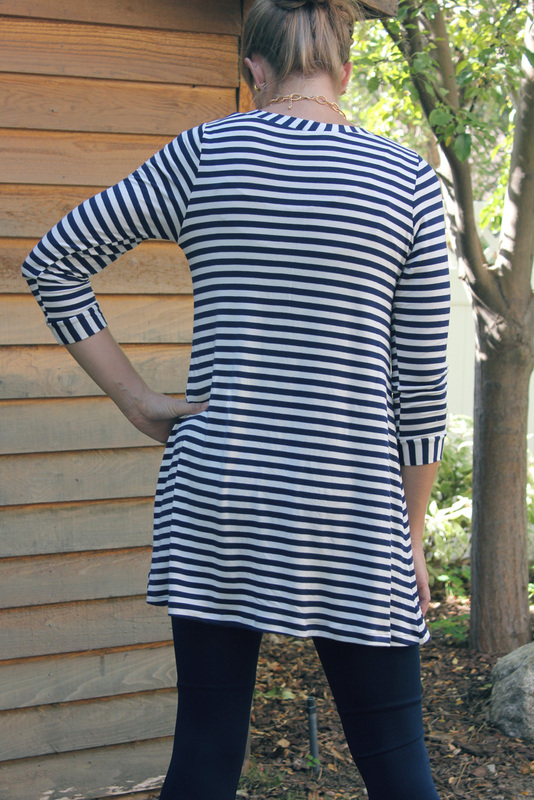 When Tami at Love Notions (affiliate link) came up with this breezy, easy tee I was so excited to sew one up. I’d love to live in leggings but I need LONG shirts to be able to cover my rear. I’m not one for the leggings as regular pants thing. 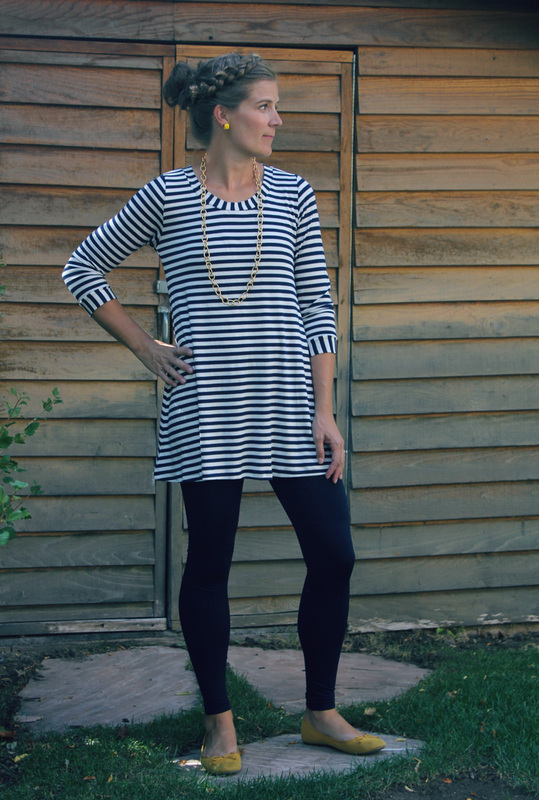 A tunic or long sweater is a MUST! This tee is perfect! This tee has seriously been missing in my life. 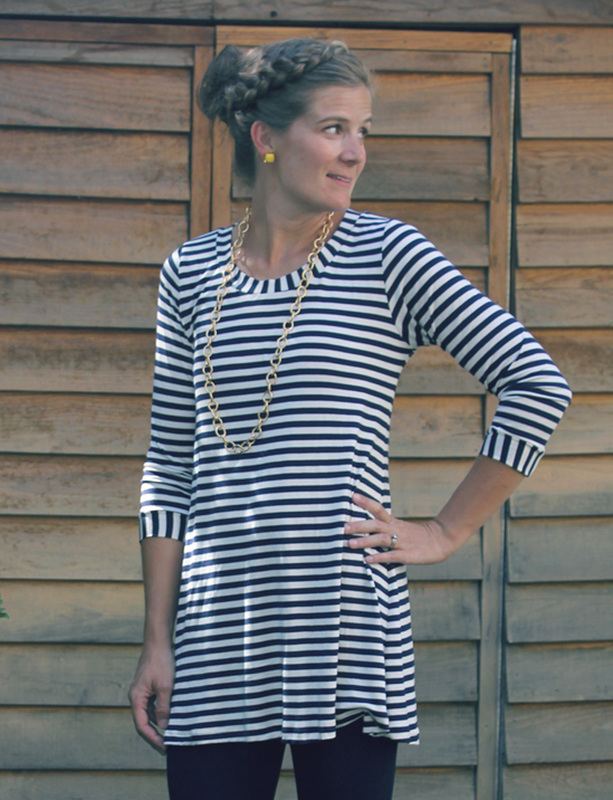 There are two different lengths- regular and tunic, and three sleeve lengths- short, 3/4, and long. This is the 3/4 sleeve length that I added bands to. Hi Carolyn! If you join the Love Notions Facebook group, the code to purchase it is in the pinned post.